ROXBURGH Park is finally the king of Strathmore Community Bank Division 2. 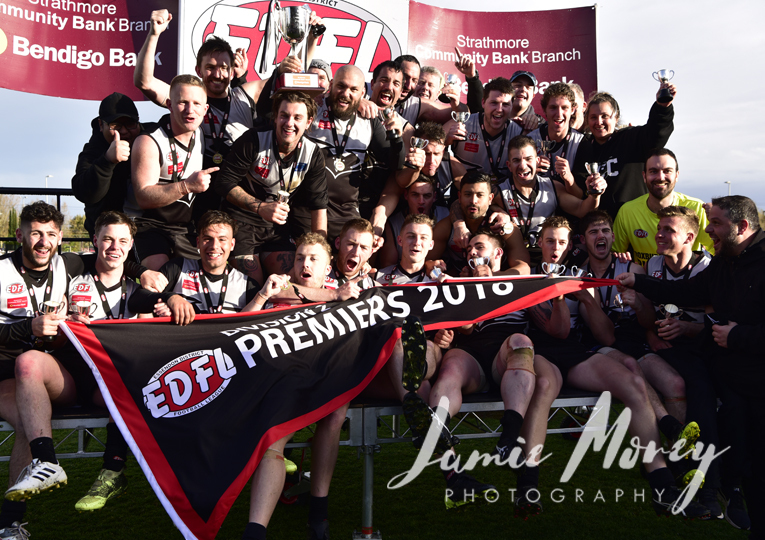 In what was a thrilling and hard-fought contest at a windswept Windy Hill, Magpies forward Osama Saad slotted the only goal of an intense final term. 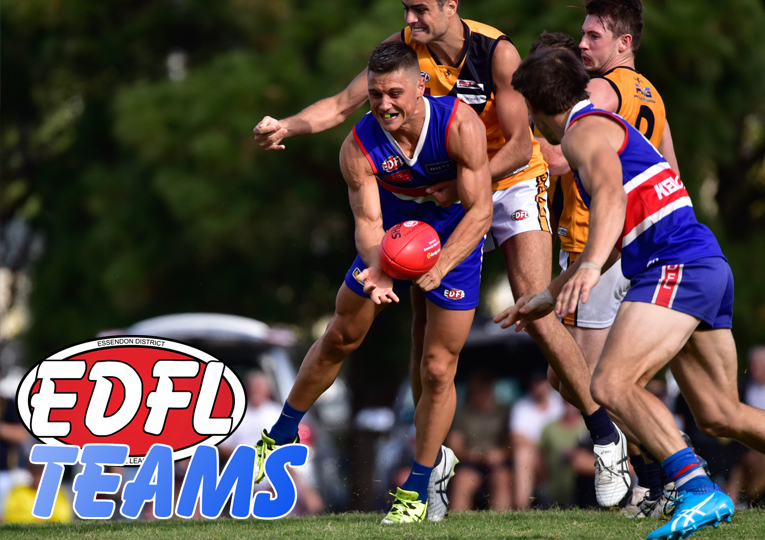 It was enough to outlast a gallant East Sunbury side that battled manfully to the end. With both wind and rain restricting each side’s flow, goals came at a premium. There were only 11 majors kicked for the entire day, but from time-on in the second term, the margin stayed within 10 points through to the final siren. It was a ferocious game of football. Roxburgh Park had first use of the scoring end and kicked the only two goals of the opening term. It wasn’t until the 18-minute mark of the second before the Thunder finally got on the board through star playmaker, Kamen Ogilvie, who finished the quarter with two of East Sunbury’s three goals for the entire first half. 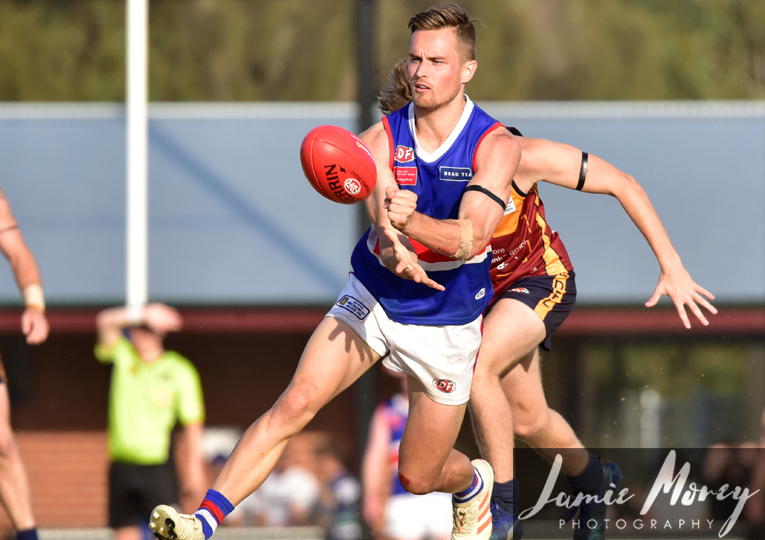 The Thunder went into the main break up by just two points and when the returning Jamerson Campbell slammed through a goal at the four-minute mark of the third quarter, all momentum belonged to East Sunbury. Campbell’s goal was the Thunder’s fourth in a row. 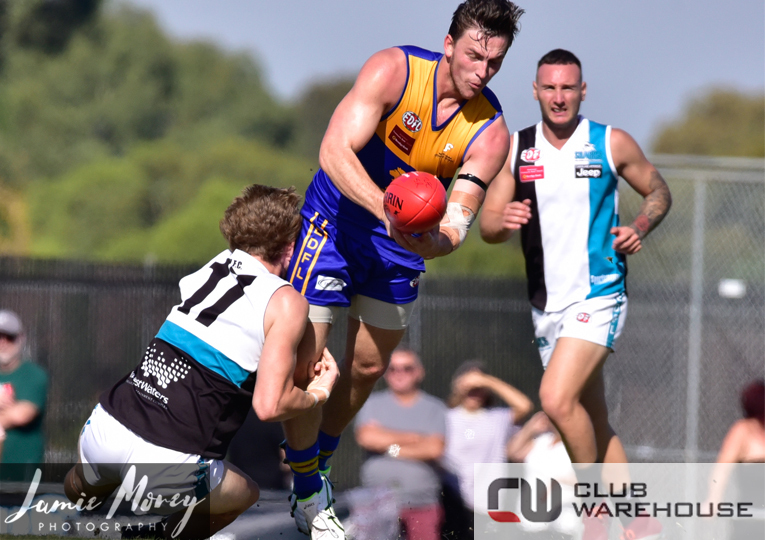 Playing coach Michael Farrelly and captain Harley Short kept their side in touch through true grit and their hard work eventually paid off on the scoreboard with back-to-back Magpies goals in the middle of the third quarter. Tom Cree then kicked a steadier for the Thunder, setting up a grandstand finish. The final term was a desperate arm wrestle. The game looked to have opened up in the third but as fatigue began to set in, the wet ball was hard to handle. Saad began to wield his imposing influence around the ground but was able to take advantage when it mattered. At the 10-minute mark of the final term, he was awarded a free kick deep in the forward pocket in front of a packed and vocal Reynolds Stand. Ever the showman, 33-year-old casually slotted the goal – his second of the game – to put the Magpies five points in front. Roxburgh Park then scored a behind, bringing the margin to one straight kick. Despite the desperate efforts of Cree, Ogilvie and Jorden Braddy, whose ruck battle with Ferras Merhi was a highlight, the Thunder struggled to find that last crucial avenue to goal as the game drew to a close. The siren blew with the ball on East Sunbury’s half forward flank, but it was those in silver, black and white that were rejoicing. After failing to get the job done in both 2014 and 2016, the Magpies had finally conquered the mountain. They’ll now move up to Essendon Ford Division 1 in Season 2019. While Farrelly, Merhi, Travis Cooke and Adrian MacKinnon all starred, the official best-on-ground medal honours went to Short. The skipper played an unbelievable grand final, not only through his normal tenacity at the contest, but with his link play through the middle of the ground in key moments.